Wadad Kadi, the Avalon Foundation Distinguished Service Professor of Islamic Studies in Near Eastern Languages & Civilizations, has received a 2004 Faculty Award for Excellence in Graduate Teaching. Peter Dorman, Chairman of Near Eastern Languages & Civilizations, said of Kadi, “I think part of the appeal she has for students comes out of her enormous competence in a wide range of Arabic literature and poetry. She tends to treat her students as budding professionals, and she has the same standards for her students as she has for colleagues in the field. “The other good thing about her mentorship is it’s not judgmental; she realizes that they’re graduate students and is willing to put in the time for people whose work needs advice or whose papers need multiple drafts,” said Dorman, who commented on the teaching style of Kadi, who was traveling out of country at the time the awards were announced and was unavailable to be interviewed for this publication. 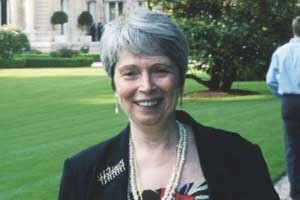 Kadi is the author of 10 books, including a number of primary text editions from Arabic manuscripts, and more than 50 articles, including “Early Islamic State Letters: The Question of Authenticity.” Kadi’s work focuses on the links between Arabic literature and political, sectarian and cultural Islamic thought. Kadi serves as associate editor of E.J. Brill’s Encyclopedia of the Qur’an, co-editor of Brill’s series Islamic History and Civilization, and an appointed member of the editorial board of several academic journals, including Arabica, Journal of Islamic Studies and Al-Abhath. Born in Beirut, Lebanon, Kadi received her bachelor’s and master’s degrees in Arabic literature at the American University of Beirut, where she also received a Ph.D. in Arabic literature and Islamic studies in 1973. She taught in the department of religious studies at the American University of Beirut for three years, and from 1976 to 1977 she was a lecturer fellow at Harvard University. She then returned to the American University of Beirut, where she served as associate professor in the department of Arabic and near eastern languages. Kadi taught at Yale University before joining the Chicago faculty as Professor in 1988. She served as Chairman of Near Eastern Languages & Civilizations from 1991 to 1996.